This is a wonderful metaphor for leading change. By taking the time to understand where people are coming from, we are better equipped to address concerns or allay fears. We can only do this if we meet people where they are. How do we know that the couplings are all connected? Are they strong connections? If we leave the yard now, will we be leaving any critical cars behind? In a large organization, it is difficult for the leader to have a sense of who’s connected and who’s not. She must rely on others on the leadership team to provide a timely and candid assessment on the organization’s readiness for change. Check in frequently with others to determine if everyone who is needed for the journey is on board. Fortunately, we don’t need to have everyone on board before the train leaves the station. Instead, we should concentrate our efforts in getting two groups lined up and engaged. These are the ones that we hook up to the engine of change first. Obviously, we need to have key leaders in the chain-of-command ready to pull forward. The other essential group is opinion leaders. These are the people who are respected by most of their peers, and connected to many others in the organization in some way (either formally or informally). As Dr. Everett Rogers explained in his seminal work on Diffusion of Innovations, it is imperative to have opinion leaders engaged in any change effort. The acceptance of any change is directly related to whether the opinion leaders approve or advocate for that change. So the first groups of cars to hook up behind your engine are the leadership team and the opinion leaders. Once you get these cars moving, the rest will follow. If a few well-placed people are strongly resistant, it could make it difficult to get the train up to speed. It is worth checking to see if anyone is applying the brakes to the process. Sometimes it just takes people longer to accept change. They eventually come along, but only after the change becomes inevitable. (Rogers termed this group laggards). But you should also be aware of active resistors – dissidents who are pulling in the opposite direction. Deal with them quickly. If they won’t keep their hands off the brakes, you may have to decouple them and leave them behind. The larger the organization and/or the larger the change, the more critical it will be to consider these strategies. reduce friction by addressing or isolating those who are resistant to change. Rogers, Everett. The Diffusion of Innovations. The Free Press. Macmillan Publishing. 3rd edition. 1983. What a great and insightful article. 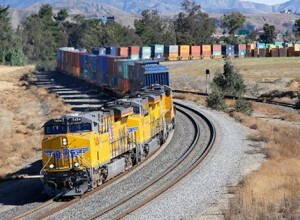 The analogy of a train is a simple yet powerful metaphor for the organization at large.